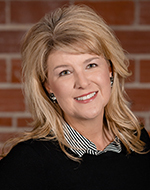 Hello, my name is Melissa Krantz and my husband and I started our Real EstateTeam, Krantz & Associates in 1998 with RE/MAX. Since 1998 we have been involved in over 1,500 transactions and are now also one of Broker/Owner partners here at RE/MAX Lake of the Ozarks. It would be an honor to put my experience and expertise to work for you in assisting you with your Real Estate needs here at the Lake. Whether you are buying or selling at the Lake, it can be a complex process with the different rules and regulations. Our area is very unique compared to other areas of the country. We are located in the Heart of Missouri on one of the largest man made lakes in the country. I have been affiliated with the Lake since the 70's and have been here full time since 1994. My husband, Jeff Krantz, and I have a grown daughter, Kassy and a son-n-law Tyler that live in Peoria, IL and two sons, Jacob and Zachary. We are deeply rooted in our community serving on several Charity Boards and local community committees. I am extremely enthusiastic and promise I will make your Real Estate transaction as smooth as possible. I love the Lake!